Most of the clients of the Atlanta personal injury and car accident attorneys at Zevin & Rosenbloum come from past client referrals. When we submit a demand in your case, you will receive a questionnaire from us. 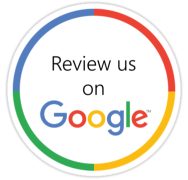 Each of the completed questionnaires are read and reviewed by our Atlanta car accident and personal injury attorneys. At Zevin & Rosenbloum, we take pride in our clients’ comments. Some of our client testimonials are listed below. Each client has given us permission to list their comments. “Zevin & Rosenbloum took my case when no other lawyers would and got me a great settlement. The lawyers and staff always answered my calls and kept me informed about things I needed to know.”- Francine B. “What I love about this firm is that everyone seems to truly care for the clients.”- Linda R.
“Your staff is completely perfect. Don’t let them get away.”- Fred A. “Thank you for your help when we didn’t have any hope. Thank you very much to all of you.”- Raul and Rosalinda C.
“Mike, Thanks for all your hard work. My expectations were exceeded.”- Kendra C.
“I know I called a lot, but you always helped me and were so nice. You even called to see how I was doing. You are the greatest.”- Betty M.
“I have known this firm for over 15 years since I was in my first accident. They did a great job and I always tell anyone that needs a lawyer to call my lawyer. They are the best in Georgia. My cousin lives in Macon, Georgia, but I told her she had to call Zevin & Rosenbloum and she did. She now tells everyone about how they took care of her case. These guys are the best and the folks in the office will always help no matter what.”- Derrick K.
“I would like to give special thanks to your staff. They were so professional but yet like family that cares.”- Douglas R.
“I had the pleasure of listening to you almost one year ago during our first conference call. I was having a bad personal time where everything seemed to be lost and I did not really know how to address the different problems I was facing. My health was suffering, my finances were being jeopardized, but above all else, I felt very insecure facing a system that is totally new to me . . . then your name came up and since then I felt protected. A year has passed and, fortunately, you have been not only a great person but an amazing and caring professional. My wife Cristina and I are very greatful after your dedicated work, your compassion and your level of professionalism. Rest assured that you have a family that is in debt with you forever. The results that you delivered are impressive. Gracias.” – Gabriel A. To see ten more reasons to choose Zevin & Rosenbloum, click here.